Canberra Airport's first luxury hotel has opened and is set to put Australia's capital on the international design map. 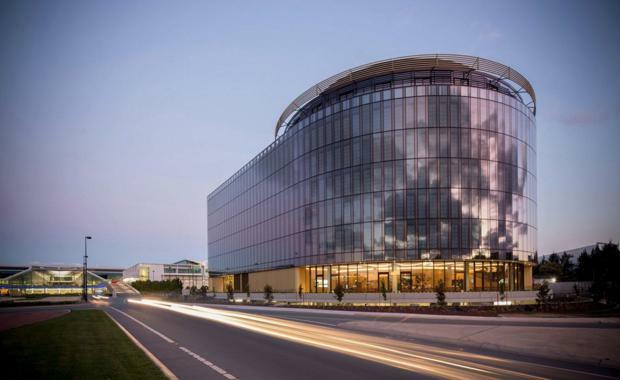 The Bates Smart designed Canberra Vibe Hotel, operated by Toga Far East Hotels, adds a striking destination hotel to the city through its circular form inspired by the geometry of Walter Burley Griffin's Canberra. Featuring 191 rooms including 12 suites over six levels and nine apartments, it also includes a reception, conferencing facilities, a restaurant and bar and lounges designed as landmark event spaces.